I did not know I was a populist. That is, I have always pondered if there was an element of regulatory capture in the Federal Reserve's interest on excess reserves program. 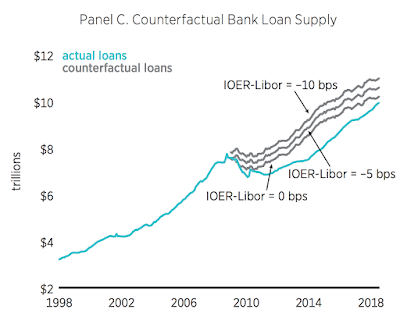 I thought the Fed had possibly borrowed some Department of agriculture economists and came up with the IOER plan. Interesting question: the Fed has more than a thousand economists, if you include those at the regional bank, maybe 2000. None of them ever produced a paper asking similar questions as yours on IOER? 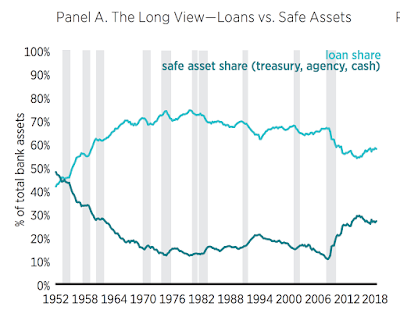 "[This] can lead to a rebalancing of bank portfolios that causes the supply of loans to be lower than it would have been otherwise. 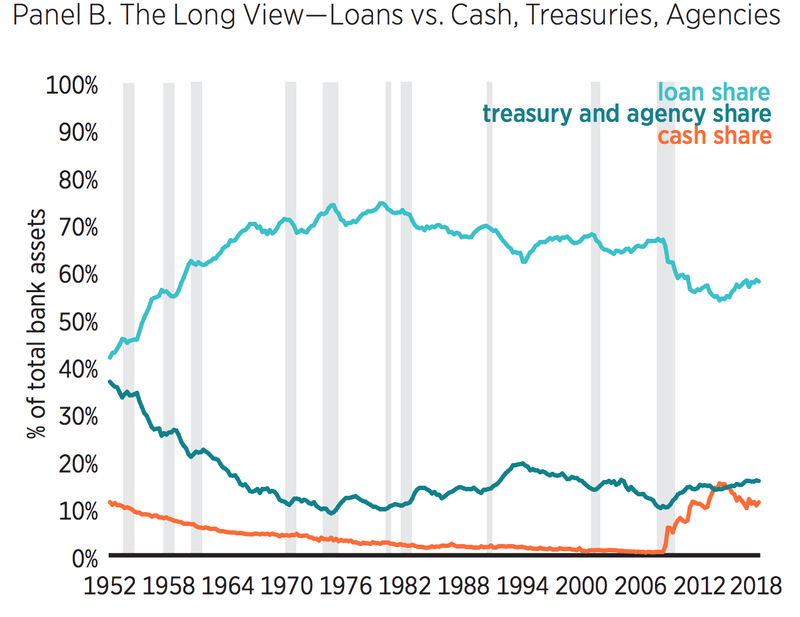 Banks lend as long as the marginal cost of funding is less than the risk-free marginal return on bank lending. In the Fed’s floor system, the IOER rate sets the marginal funding cost. 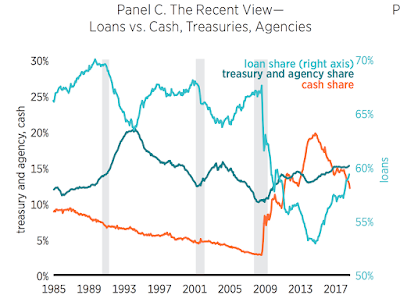 Consequently, by setting the IOER rate higher than other short-term interest rates, the Fed has raised the marginal costs of funding and narrowed the gap between these costs and the risk-free marginal return on bank lending. 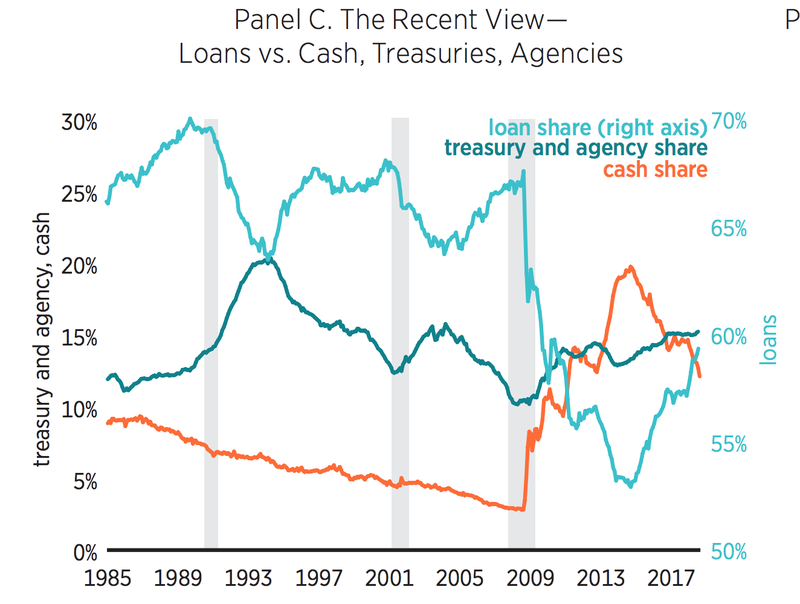 All else being equal, the narrowing of this gap implies a relative reduction in the supply of loans and therefore a relative decline in the money supply." I have said it before to George, and now I'll say it to you: I think you're conflating an operating system with the setting of the policy rate. In the example above, you are not criticizing the floor system -- you are implicitly suggesting that the policy rate is too high. If that's the case, then just lower the policy rate. Yes? No? David, let me answer your question this way. 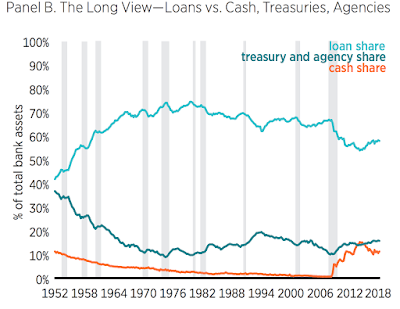 You have noted in past writings that the Fed has become a large financial intermediary since 2008. This transformation of the Fed did not happen in a vacuum. It required funding short and going long. To do so, the funding came from banks who--because of the floor system--invested in the Fed deposits rather than in other assets, including some loans The Fed, in short, was doing financial intermediation that banks would have done themselves if not for the floor system. This was an intentional byproduct of the floor system (it allows Fed to use its balance sheet and control target rate). 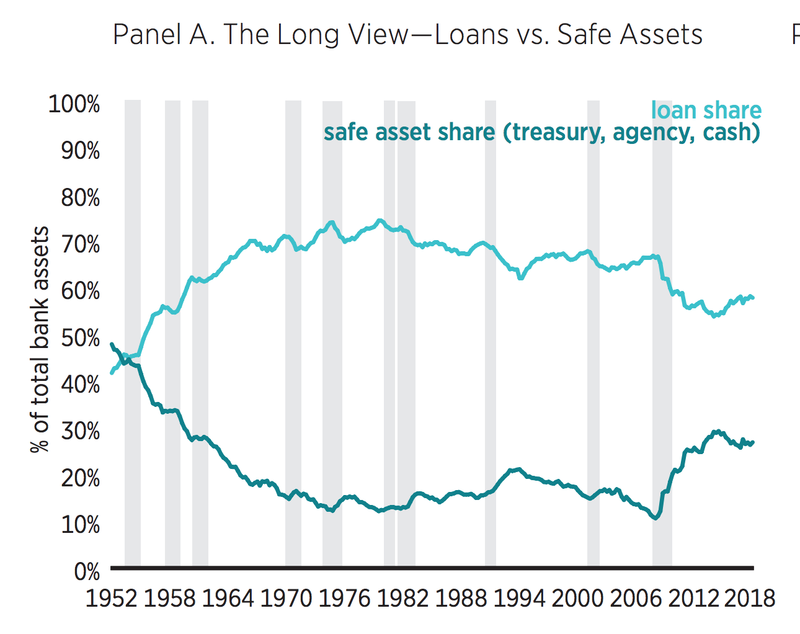 As I noted in the post, the question then becomes is the Fed a better allocator of this credit than the banking system. So no, this is not just a question of rates being set too high. Though, if you mean , setting the IOER low enough so that the floor collapses back into a corridor system then the answer would be yes. But I don't think that is what you meant. That’s an interesting use of the word “normal”. Strikes me the words “loony” or “mad” would be more appropriate.